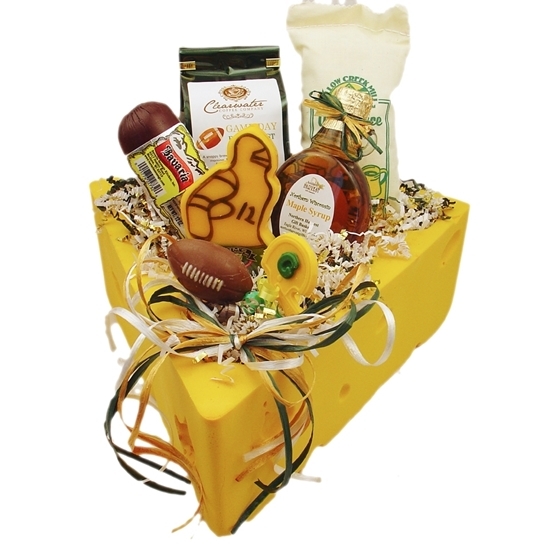 The Honey of a Valentine Gift Basket is filled with an assortment of Wisconsin honey products. 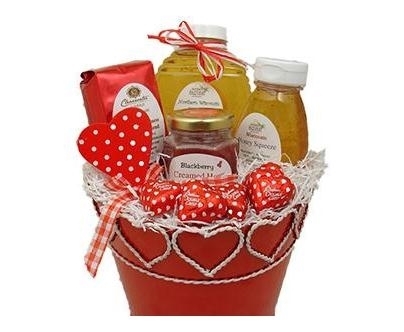 The red tin basket is decorated with white hearts and filled with natural liquid honey, blackberry flavored honey squeeze, cranberry creamed honey, chocolate hearts and Valentine blend gourmet coffee. 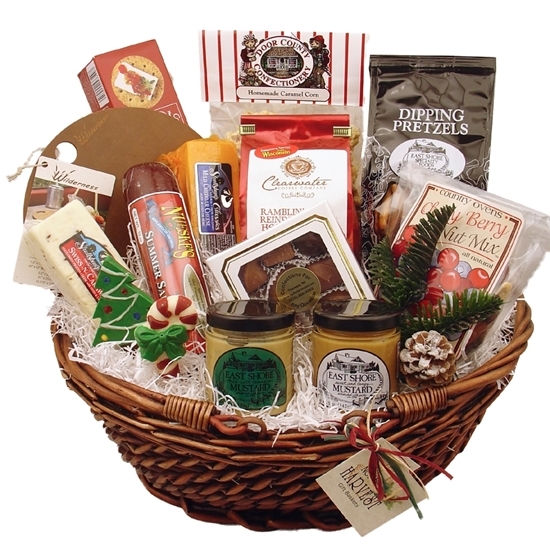 The fresh roasted Clearwater Coffee is individually roasted for these gift baskets, one pound at a time. 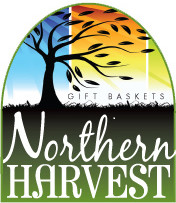 The Honey of a Valentine Gift Basket by Northern Harvest Gift Baskets will be a sweet treat for your Valentine. 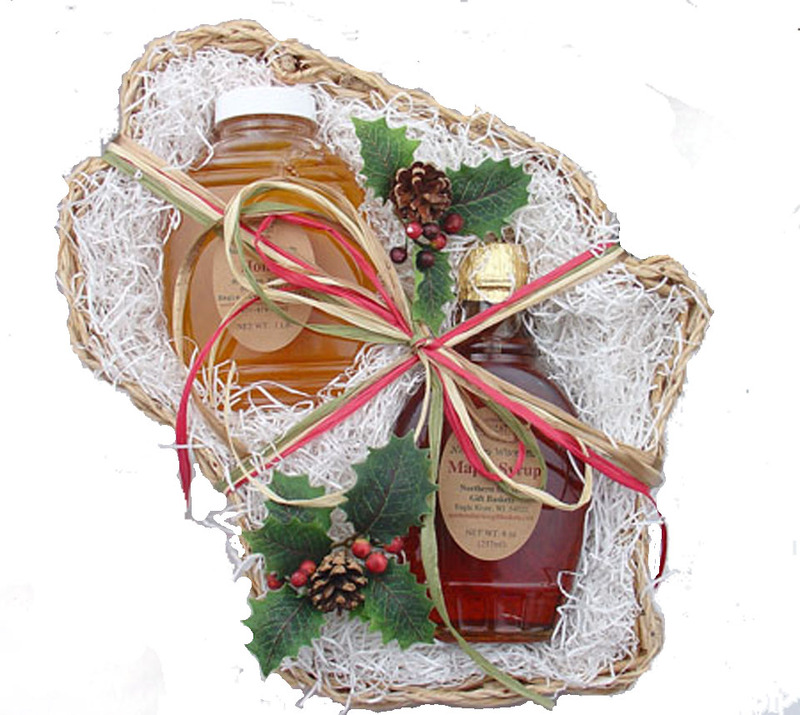 Natural Wisconsin Honey - 1 lb. Blackberry Honey Squeeze - 8 oz. Cranberry Creamed Honey - 5.5 oz. Fresh Roasted Cup O? Kindness Valentine Blend Gourmet Coffee - 3 oz.